​Juventus are keen to improve their depth in attack and are reportedly looking to strike deals for Manchester United's Anthony Martial and Borussia Dortmund's Jadon Sancho. Martial's current deal in Manchester expires at the end of the season, although the club have the option to automatically extend the contract by a further year. He is yet to commit to a new deal, amid speculation that he is unhappy at the club. Links to the two players come from Italian outlet ​Tuttosport, who state firstly that ​Juventus are seriously interested in signing ​Martial, but face competition from ​Inter and ​Real Madrid. 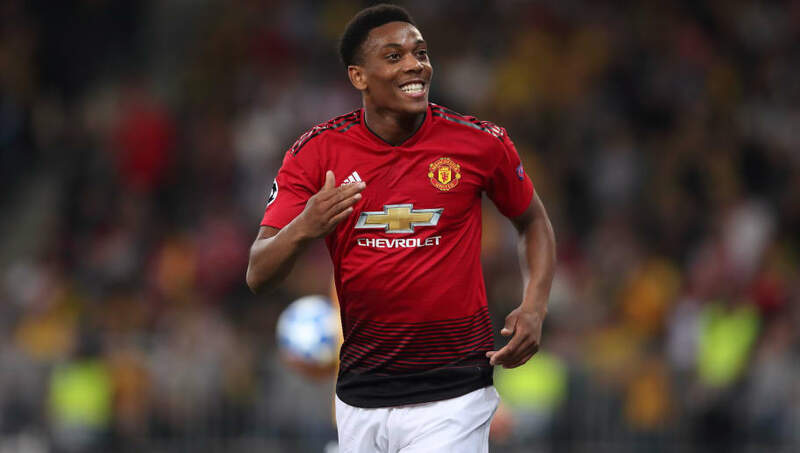 However, there are many more teams who have been linked with the Frenchman, with the likes of ​Dortmund, ​Bayern Munich and ​Chelsea touted as potential suitors for Martial. Interest in the winger has risen in recent weeks as the 22-year-old has been in sublime form, netting five goals in his last four matches, including two in a thrilling 2-2 draw with Chelsea. He could be available for a cut-price deal if his current situation continues, as the Red Devils will be reluctant to allow Martial to leave for free at the end of his contract, having signed the winger for a deal which could rise to £58m. Like Martial, 18-year-old Sancho has been incredibly impressive for his club this season. He has racked up five goals and eight assists for Dortmund and earned a call up to Gareth Southgate's England squad. Sancho recently signed a new five-year contract with the club, but Tuttosport claim that they would consider allowing Sancho to leave if they receive an offer which meets their asking price, which is said to be around £70m. The former ​Manchester City youngster has emerged as one of the most exciting youngsters in world football, leading to much speculation around his future. He has been linked with a return to Manchester, with both City and United believed to be keen on signing Sancho, whilst ​Liverpool and Chelsea have also been suggested as interested parties.